It isn't very often - no, wait, it is completely unique, having never happened before - that I write to each and every one of my LinkedIn contacts simultaneously. But as the proverb goes, "circumstances alter cases." The "circumstance" that causes me to risk Web-wide ire at my misuse and abuse of Reid Hoffman's gallantly unspoiled business tool is the arrival of the 365th day of survival since being operated on for pancreatic cancer. 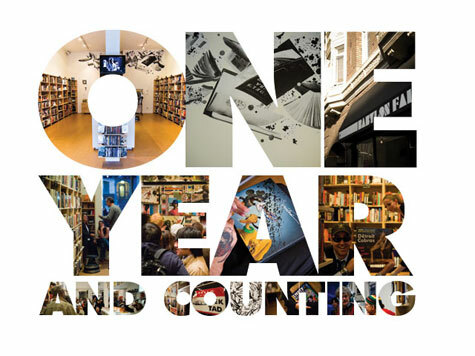 One entire year! Never has a year taken so long, never have 365 days seemed more like 1,365. But a year it is, and given the givens it deserves to be marked in some way. This is my way. Worry not, I am not going to hit you up for money. (Even though the Pancreatic Cancer Action Network could most certainly always use it.) I am not even going to hit you up for emotion. Nope. Far worse than that, I am going to hit you up - briefly - for attention. Because, to be brutally blunt, it isn't at all clear what kind of timeline anyone lives on once pancreatic cancer rears its ugly head; and so my resolution today is to make hay while I can - or, as the Hindus apparently put it, to turn the mill while there is still sugarcane. The chances are that you will know someone who has been diagnosed with cancer, perhaps even with pancreatic cancer. 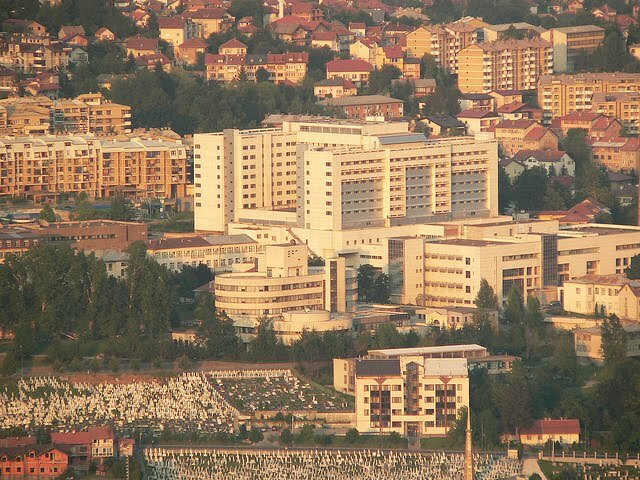 If so then, like my wife and children the day I was diagnosed in a hospital in faraway Sarajevo (pictured below), you probably headed straight to Google...and were startled by what you found. I mean, I am no statistician, and neither were any of my four kids, but these "survival rate" stats read, back then, less like a glimpse of hope and more like a death sentence. But then when the heck did anyone ever rely on statistics, right? Besides, what matters is how early the tumor is found (earlier = smaller = better), whether it is deemed to be operable, and how well the surgery goes. There don't seem to be any stats for those lucky enough to have undergone a Whipple operation - the life-saving, if radical, surgical procedure that, 365 days ago today, was how I spent my morning. I have already written briefly about the experience of being both diagnosed with the deadliest of all the cancers and spared/saved from it all within the space of three weeks. I had a stab, too, at trying to sum up what it is like, after the Whipple, to be prescribed follow-up chemotherapy for seven long months. None of these posts was very well written, but the intent was just to share an experience, in case might help provide some kind of insight either to those who had worse luck than mine, perhaps even to those who fared better in similar circumstances...and most especially to the rest of you who have been lucky enough not to one day, just three months after completing your third New York Marathon, be told completely out of the blue that you've got the deadliest of all the cancers. Remember to say a brief 'thank you' tonight in your prayers! 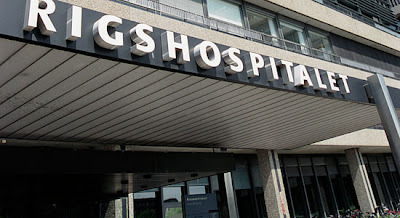 Here's how it went down 365 days ago in Copenhagen University Hospital (Rigshospitalet), which is where I had the Whipple procedure - in which, as one fellow pancreatic survivor recently put it, "Everything around the pancreas that can be removed, cut, whacked, chopped, is." Reassured by the fact that around thirty of these operations are performed each year by this same team of surgeons, I remember one year ago today smiling first at my wife, who was right there beside me as they prepped me for the op, then at the anesthetist whose job it was to put me under...and saying a private little prayer in my head, before oblivion took over. There's something curiously daunting about going to sleep in full possession of your innards, but with the certain prospect of waking up with your inventory of bodily organs severely depleted. The lion's share of my pancreas, all of my gall bladder, a goodly portion of my stomach, and an assortment of small-intestine-removal later...I did indeed wake up. And what a relief it was to find that 1. I was alive and kicking and 2. that I was in no kind of pain - just "downsized" internally. In fact I was now significantly less complicated under the hood! Departments of Surgical Gastroenterology are probably not famous for being fun places to hang out, but if you have to for one reason or another - including this Whipple operation, which is one of the most complicated they do - I can certainly recommend the incredible team at Copenhagen's Rigshospital. 365 Days Ago Today - midriff complete with mid-rift! Whipple patients typically lose 10% of their body weight in the pre- and post-operative period. It has taken an entire year to put even half of that back on! You might think that it every teenage schoolgirl's dream, but I am no teenage schoolgirl and I can tell you, nothing is stranger than finding that none of the things you ate before are going to help you put weight back on...and that instead you have to become a fat-chaser, a scavenger on the lookout for calories wherever you can find them. I failed miserably, for at least the first three months. Putting butter on my bread, ignoring most vegetables as having insufficient protein for the amount of room they took up in my tummy, these sorts of changes seem simple - but they are not! I adore, sorry past tense, I adored, salads. But lettuce leaves and spinach leaves and suchlike are a thing of the past, once the part of the pancreas that produces enzymes is tossed into the surgical waste-bin. Because there's nothing to help digest them...which means basically that they get stuck, and it is excruciatingly painful as well as deeply frustrating. Worries over dietary changes and internal rearrangements were pushed firmly onto the back burner the day, on the very point of leaving hospital and being declared a resounding success from a surgical point of view, I was told that seven months of chemotherapy was going to be needed too. Belt and suspenders. 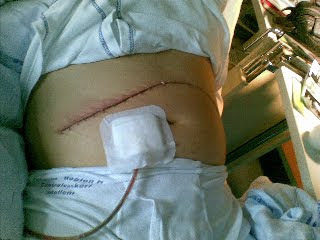 Pancreatic cancer is like the worst kind of serial killer, and no one was intending for me to take any chances. So I had survived the disease. Now all I needed was to survive the cure! As I say, I already wrote about what it's like, after the Whipple, to be prescribed follow-up chemotherapy for seven long months. That was at the mid-way point. Since my 189 days of chemo ended, my overall health seems from the outside enviable - and probably is, at least to almost everyone but me, who feels it has been disappointingly slow, unexpectedly erratic, and very little different from during chemo itself. Energy levels remain fluctuating rather than steady, sleep patterns likewise, and concentration is a word that seems almost to have tumbled out of my dictionary for good. The ugly question naturally reared itself: if the Whipple surgery went so well (and it did, the surgeons were 100% adamant about that), why wasn't I by now back to Marathon form, both professionally and personally? And the answer will come shortly...courtesy of the bloodwork and the scanning techniques that Rigshospital once again is bringing to bear on this onetime athlete's body of mine. Cross your fingers; certainly I am crossing mine on this anniversary of anniversaries. One thing is sure: it isn't for want of trying - I have been trying once more to use running as my health barometer, and really have tried again and again and again to get back my running Mojo - just as, professionally, I have sought to regain my Cloud Mojo. But it appears that convalescence is not only a question of mind over matter. Sometimes one needs "a little help from one's friends" - including, in this case, from Copenhagen University Hospital's brilliant oncologists - who understand the nuances of X-ray computed tomography!